The short answer is that it’s where the little red dot is on the map (clicking on the map will take you to a more detailed map of the area around Shrewsbury). The more important answer is that as you can see it’s very central in the U.K. – central enough to be easy to get to from major airports and also in reach of many of the places you’ll probably want to see on a visit to Britain. Over 80 restaurants; 2 cinemas, providing 10 screens; over 100 pubs & wine bars; theatre/music hall; jazz club; 5 night clubs; professional football team. Regional commercial centre; major shopping centre with chain stores and individual boutiques; all major UK banks; generally non-industrial (although the nearest town, Telford – 20 kms from Shrewsbury – has a large amount of hi-tech manufacturing & service industry). Three indoor swimming pools; 2 golf clubs (and 3 more within 20 km); numerous well-equipped health & fitness centres; fishing, football, tennis, badminton, canoeing, horse-riding and archery all available locally. Excellent rail & road links; Nearest Airports:- Birmingham (50 minutes by road); Manchester (70 minutes by road); Liverpool (70 minutes by road); Heathrow (2½ hours by road). 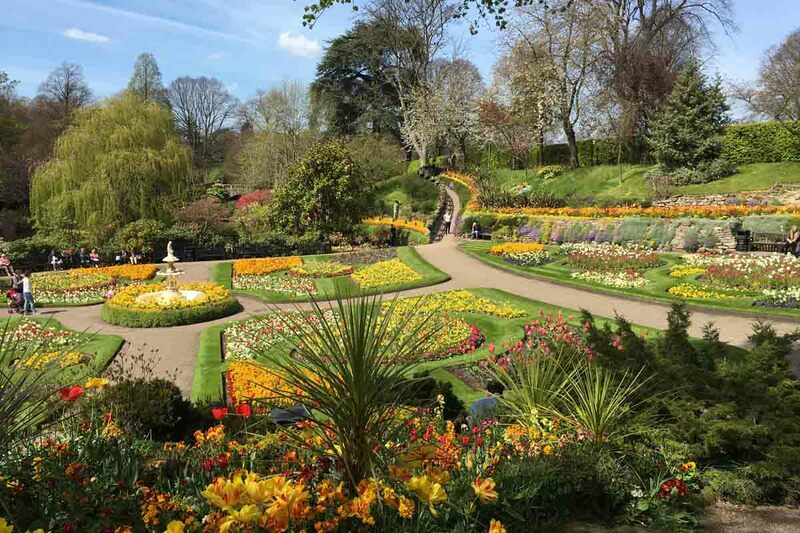 Although there is much to attract visitors, Shrewsbury is not overcrowded with tourists or other foreign visitors so it retains its English character. Only one accredited English language school – Severnvale Academy. 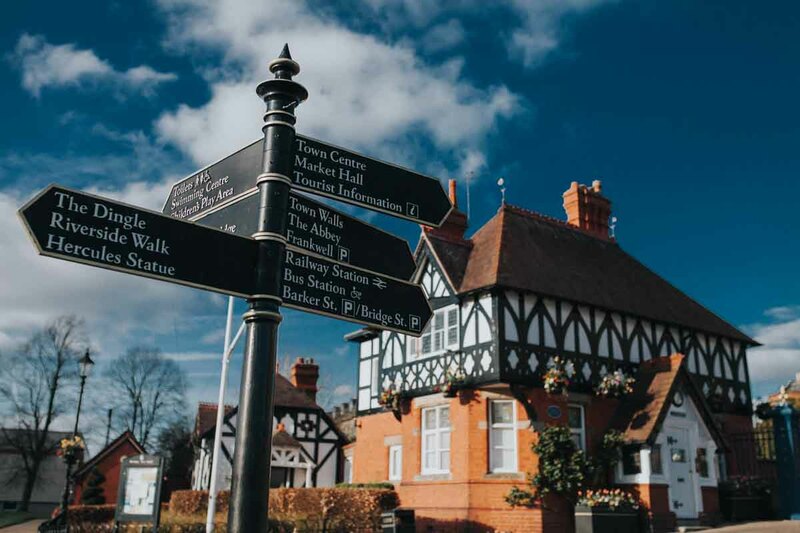 Also known as… ‘The Royalist Town’ owing to its importance in the English Civil War; ‘The Town of Flowers’ owing to its superb parks & gardens, successes in the ‘Britain in Bloom’ contest and Internationally renowned Flower Show. Over 1500 years of history; traditional timber “black & white” Tudor houses dating from the 14th Century onwards; importance in history as an administrative & trading centre; well-preserved architecture from every Century; home town of Charles Darwin. Go to our Local Links page for more historical information. For a page of important or interesting dates in Shrewsbury’s history, click here. A lively, wealthy traditional market & administrative centre, with a high standard of living; surrounded by the River Severn; officially recognised as one of the most desirable places to live in the UK; winner of the national politeness competition; very low crime rate; friendly and welcoming; unspoilt by tourism. Beautiful rural countryside – ideal for relaxation, cycling and sport.